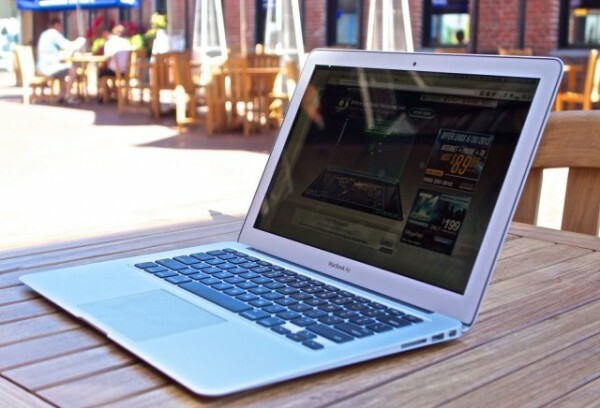 A 12-inch variant of the MacBook Air has been rumoured for the longest of time, but a new report is indicating that it will start shipping as early as Q2 2015, which will be around April to June 2015. Aside from having a 12-inch screen, the new MacBook Air has a plethora of new tricks as well. One of the most notable changes is the amount of ports available on the 12-inch MacBook Air, which will only be as little as two. Yes, only two ports will be on the new MacBook air, which is a reversible USB Type-C port and a headphone jack. This was done in order to make it as thin and light as possible. Ports aside, the new MacBook Air is also considerably smaller than the 13-inch model (obviously). Surprisingly, however, the 12-inch MacBook Air is also slightly narrower than even the smaller 11-inch model, although it will be a little bit taller to accommodate the bigger display size. Apparently, this was made possible by reducing the bezel of the 12-inch Air. Interestingly, this new MacBook Air will also be much thinner than any of its predecessors, including the smaller 11-inch model. This, however, comes at a price. The trackpad will no longer have a click to it, and there will be a limited amount of ports available as previously mentioned. If you want to learn more about this new Macbook Air, you can do so here. The 12-inch Retina Display MacBook Air will start shipping in the second quarter of 2015. Hopefully, Apple will unveil this new product – or at the very least, tease it – at its upcoming event on the 9th of March 2015.